Port City Development Center (Port City) is a not-for-profit organization dedicated to the employment and empowerment of adults with DD from the Portland metro area. For about eight years, Port City has been located in the Eliot neighborhood on the corner of Williams and Tillamook. Form art and urban farming to production, screen-printing and woodworking programs, Port City offers a diversity of opportunities for individuals to earn a paycheck, engage with the community and gain skills that support their independence. With a small grant from the Northeast Coalition of Neighborhoods, Port City started a graffiti removal program in May, 2012 in response to neighborhood graffiti. The Port City Graffiti Abatement Program’s goal is to foster greater community pride in Eliot by reducing the presence of graffiti in the neighborhood. This program helps prevent future tagging by decreasing the presence and normalization of graffiti in Eliot. The Port City Graffiti Abatement Program provides affordable graffiti abatement services to businesses in the Eliot neighborhood as well as living wage employment for community members with DD. Professional graffiti removal crews offer power washing, painting, graffiti removal on brick, brick sealing, and other abatement services. Businesses partnering with Port City for graffiti removal either pay an hourly rate for graffiti removal services or a monthly flat fee. 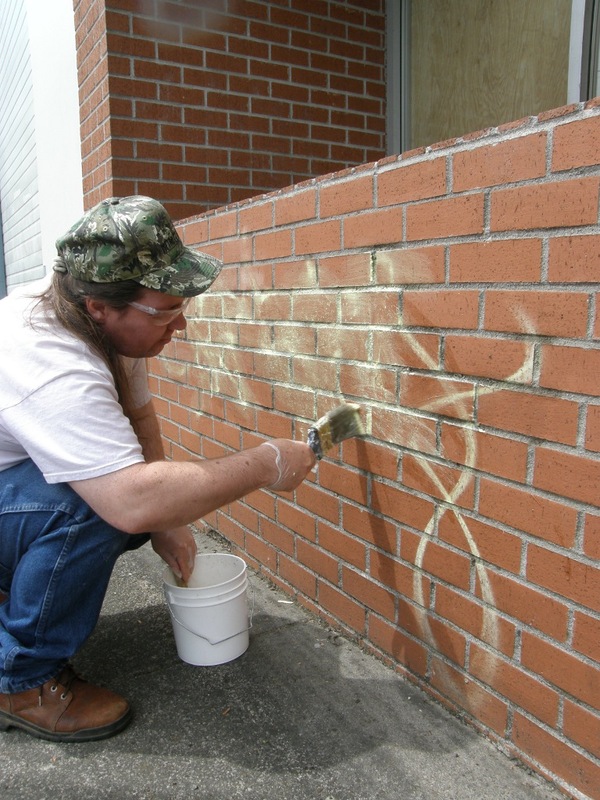 Port City direct care professionals work one-on-one or in small groups with graffiti abatement crew members to paint over or clean off graffiti affecting partner business within 48 hours of identification. If you would like to learn more about the Port City Graffiti Abatement Program, please contact Port City at 503-236-9515 or info@portcitydevelopment.org. By quickly responding to graffiti we can create a graffiti free neighborhood for residents and businesses to thrive!